Almost everyone is familiar with the Donald Sterling situation in the NBA. In case you have not heard, the exiled Clippers owner was caught on tape saying comments about not wanting minorities at his games and not wanting his girlfriend to hang around with Black people. The NBA’s immediate reaction was to fine Sterling $2.5 million, ban him for life from the NBA and force him to sell his team. But of course the process to ban him has not gone as fast as some would like. NBA commissioner Adam Silver met with the NBA Advisory board and they have to obtain a 75% vote from the owners to vote Sterling out of the league. And, as expected, there is some pushback coming from Sterling. He has said, through his lawyers, that he will not be paying the fine and will be suing the NBA. Hearing all this, there have been mumblings of the players boycotting the 2014-2015 season if Sterling still owns the Clippers going into next season. And just this week, it was rumored that LeBron James would be the leader of this boycott. This report was quickly denied by Players’ Union VP Roger Mason, Jr. as he said that LeBron never said those words to him (Mason, Jr. was the first reported as saying LeBron said he would lead boycott of 2014-2015 season). But before the reports of LeBron and the boycott were cleaned up by Mason, Jr., people started to throw out their opinions about what was reported he was going to do. Some supported his stand, while others began to attack LeBron. Some believed that LeBron should just stick to being a basketball player and others felt that he was doing this in a self-serving manner. But what was interesting is that he was standing up for what he felt was right in the matter despite what all the potential ramifications. Looking at situations in the past, sometimes a stand is needed. Just think where we would be as a society if stands were not made at all. Even though Jackie Robinson was not the first African-American to play professional baseball, he definitely was one of the most influential. 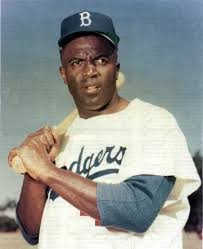 Before him, there were three others who broke the color barrier in baseball, but none of them had a lasting impact. Robinson was a very talented baseball player and ended up having a good career in the pros, but his entry was not met with the greatest acceptance. He was talked about, talked to and had many threats on his life as he pursued his dream. He took a stand for what he felt needed to happen despite the surrounding issues. Despite it not being the so-called “right thing to do” at the time, he made an immeasurable impact on sports and on sports culture as he began to help chisel away the color barrier. But Robinson was not the only one to ignore the status quo. Bill Russell is one of the greatest centers of all-time. He led the Boston Celtics to as many as 11 titles during his time in the NBA. But other than that, Russell did not take any crap off anyone despite his celebrity in the game. During his playing career, the Celtics had an exhibition game in Lexington, Kentucky. And during that trip, Russell and other Black players on the team were refused service at a local restaurant. As a result, Russell and his other Black teammates did not play in the exhibition and flew home. Of course they were criticized for what they did, but they took a stand for what they felt was the right thing to do. Russell was also a part of the Black Power Movement that refused to be drafted because he would be going to war for a country that did not allow him equal rights. Of course, Russell received hate from his own fans in Boston over his career as well. But he kept doing what he felt was right and made his stand. And like Robinson, that stand is forever felt not only on the basketball court but off it as well. It may not have been the right thing in most people’s eyes at that time, but he did it because he felt it needed to be done. And his acts had an immeasurable impact. Those who came down on LeBron probably would have come down on Russell and Robinson because they did not follow the protocol for the time period. Well, if history has told us anything, it’s that you cannot always follow the rules that are set. Sometimes a statement is needed despite possible repercussions. And in this instance, the NBA may be getting complacent in the player’s eyes and a stand needs to be made. Whether it’s LeBron or another player leading it, the players have to stand for what they believe in, whether we like it or not. The funny part is fans tend to criticize players for not being connected with the things that are going on and when players actually show they care about a situation enough to do something, they are criticized as if they did nothing. You cannot have it both ways. Either they stand for something or fall for anything. One or the other. For more sports conversations, feel free to follow me on Twitter @General_MP or check out my Facebook page Mike Patton-The General . With his smooth shot and explosive leaping ability, he is one of the reasons the Portland Trailblazers have made it back to relevance. But along with the relativity comes a sense of home. 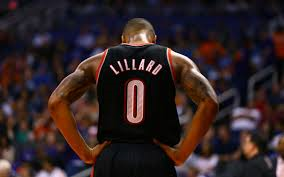 If you notice, Lillard wears the number zero on his jersey. But upon further examination, the “number” means much more than meets the eye. Everyone from the casual sports follower to the die-hard sports fan may think that Lillard wears his number because it’s his favorite or he had a favorite player that wore the number. But in all actuality, Lillard does not see the number zero that we all see him wearing. Instead, he sees the letter “O”. 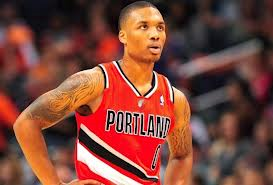 And the letter “O” is the first letter of where Lillard is from, Oakland, California. The second-year point guard has been special in clutch times this season. But considering where he grew up and what odds he overcame, the clutch shots seem like the easy part. Damien was barely a two star prospect after playing his high school basketball at Saint Joseph Notre Dame and Oakland High School. While trying to get better at playing sports, he also avoided the gangs and violence in his neighborhood growing up. He eventually was seen by Weber State University and got a scholarship to play basketball. And unlike a lot of players in today’s NBA, he stayed in college the entire time in order to hone his game. Making it to the NBA after being largely unnoticed on the California high school scene was nothing compared to how he defeated the odds to make it. So many times in society, we allow the circumstances surrounding us to affect the outcome of where we end up. And while it’s true that some of the circumstances are out of our control, we cannot allow them to dictate to us how we should proceed. Hopefully young men and women will look up to what Lillard overcame to make it. When he wears the letter “O”, it reminds him of where he came from and what he did to make it. He fought the odds and is defeating them every single time he plays. And he does it wearing the pride of his hometown with him at all times. For more sports talk, follow me on Twitter @General_MP or go like my Facebook page Mike Patton-The General .